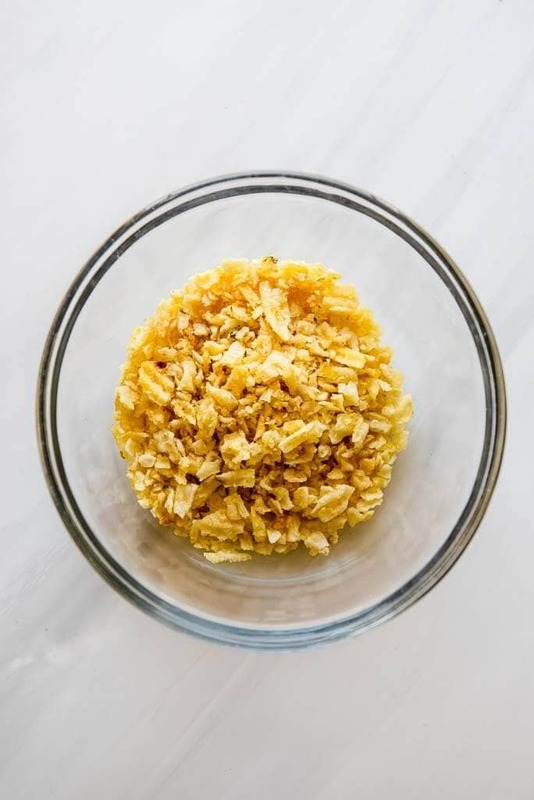 The perfect side dish for fall meals for holiday gatherings! 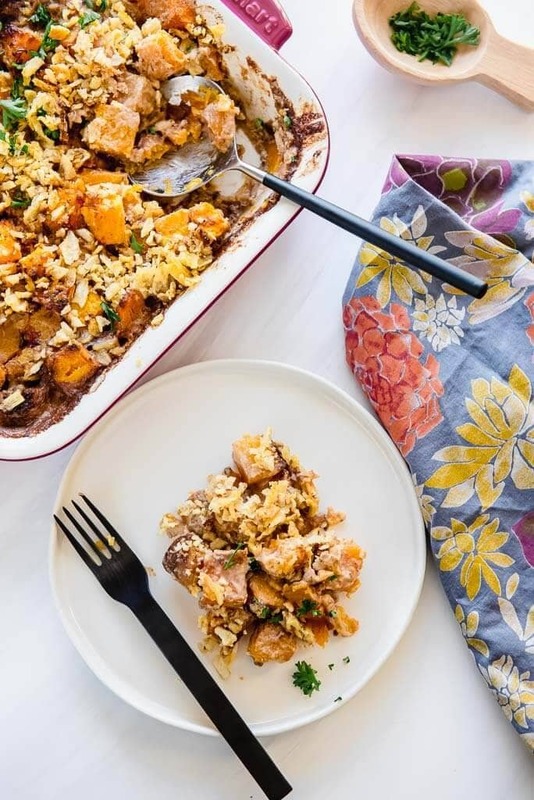 This savory butternut squash casserole is easy to make and delicious to eat! I’ve never been a fan of sweet potato casseroles with the marshmallow or brown sugar toppings, preferring instead more savory side dishes. For years I’ve been making a savory butternut squash dish I found online that is all about garlic and herbs. 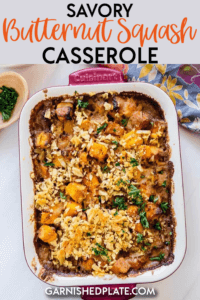 To take it up a notch, I decided to go for a more casserole style dish that combined those flavors along with a creamy sauce and a crunchy topping, because how can you ever go wrong with crunchy toppings?! 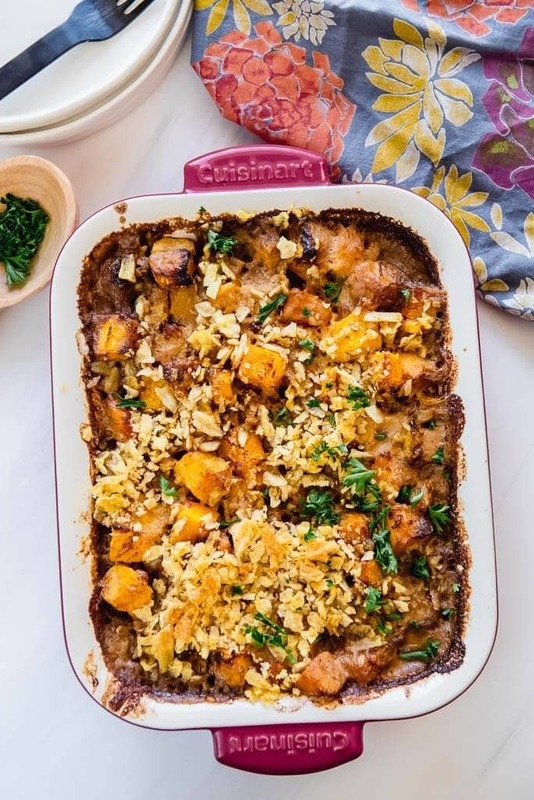 This Savory Butternut Squash Casserole is simple to make using precut squash and the perfect compliment to fall themed main dish meals. What is the easiest way to cut a butternut squash? Seriously, I find butternut squash tricky and time-consuming to cut or cube. As much as I love it I won’t make it often because of how difficult it is to prepare. You have to peel, remove seed and dice and it’s just really no easy task. 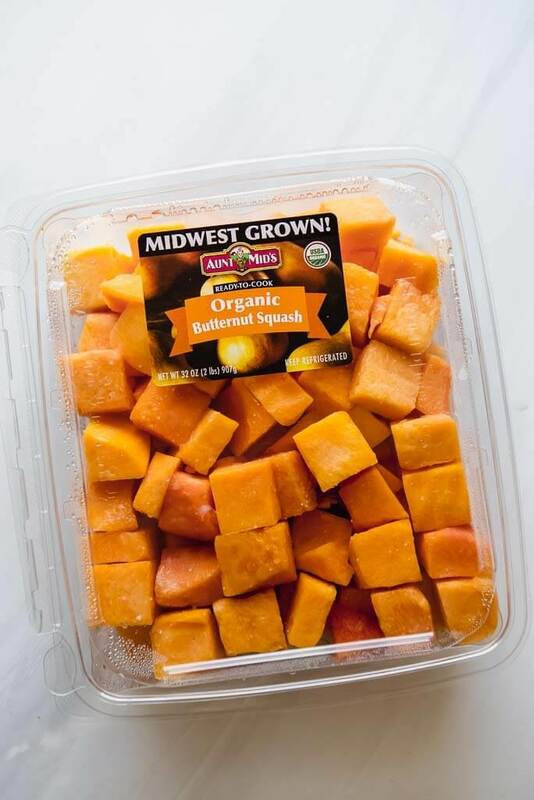 Thankfully, you can generally find ready-to-cook butternut squash at most any grocery store. I found this large 2 pound package at Costco and I can generally find 12oz packages at other regular grocery stores. 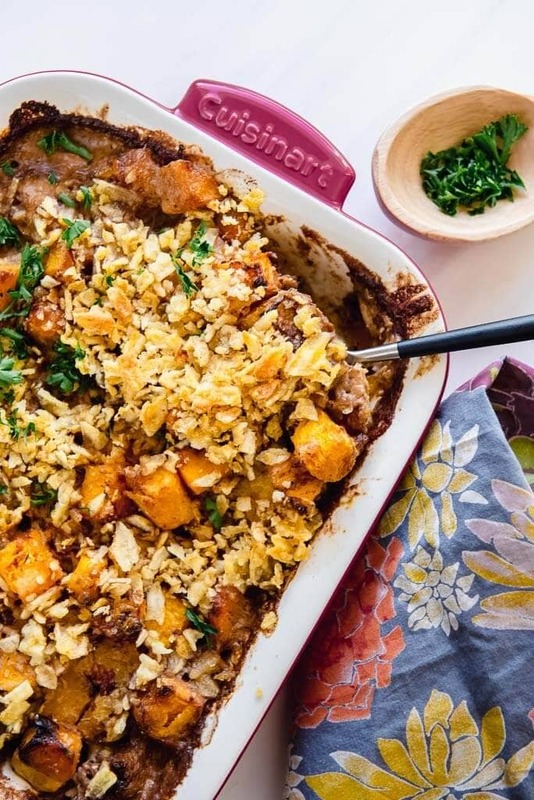 How to make this butternut squash casserole savory..
Let’s talk about the sauce. Yes, it has heavy cream in order to be rich and creamy. 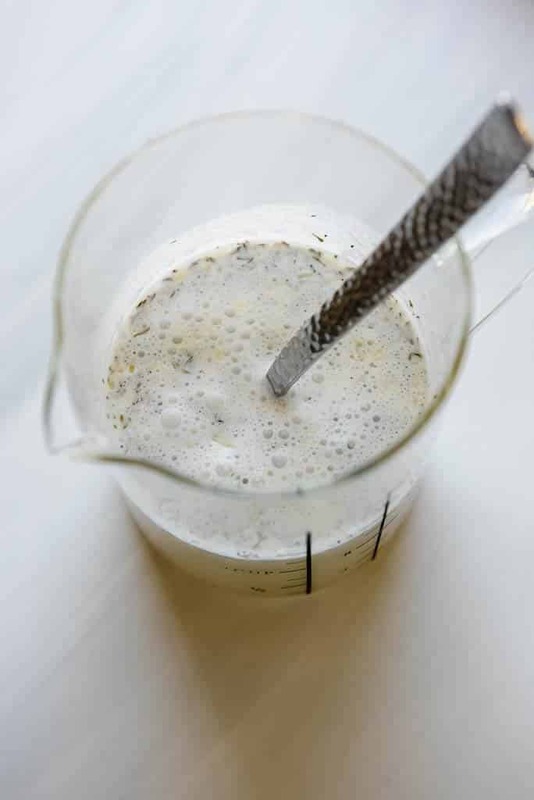 But to take it that extra step to savory, it also has chicken broth. 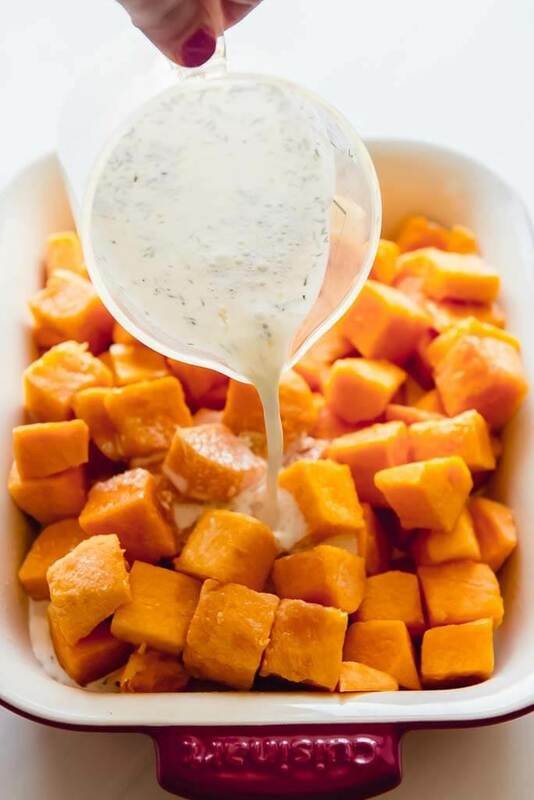 Along with some parmesan cheese and spices, it creates the prefect savory, creamy and flavorful sauce to turn regular butternut squash into a casserole. Thankfully, since we are starting with pre-cubed butternut squash, the casserole comes together in only minutes. You can assemble it a day or two in advance and pop in the oven when ready to bake. 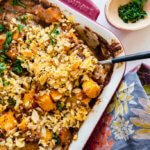 Two pounds of butternut squash will cook down a bit, so you’ll want to use a smaller 2 quart casserole dish for this.